Flushing is also an excellent way to pre-commission clean new heating systems, to remove excess flux, swarf and other debris, and the grease and oil used to prevent rusting of components before use. The flushing process is a versatile, easy to use and highly effective method of flushing heating systems. 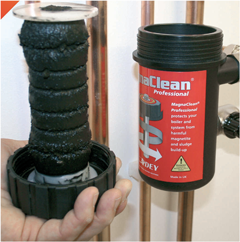 Heating systems can be purged of sludge, scale and corrosion deposits with minimal dismantling and disruption. 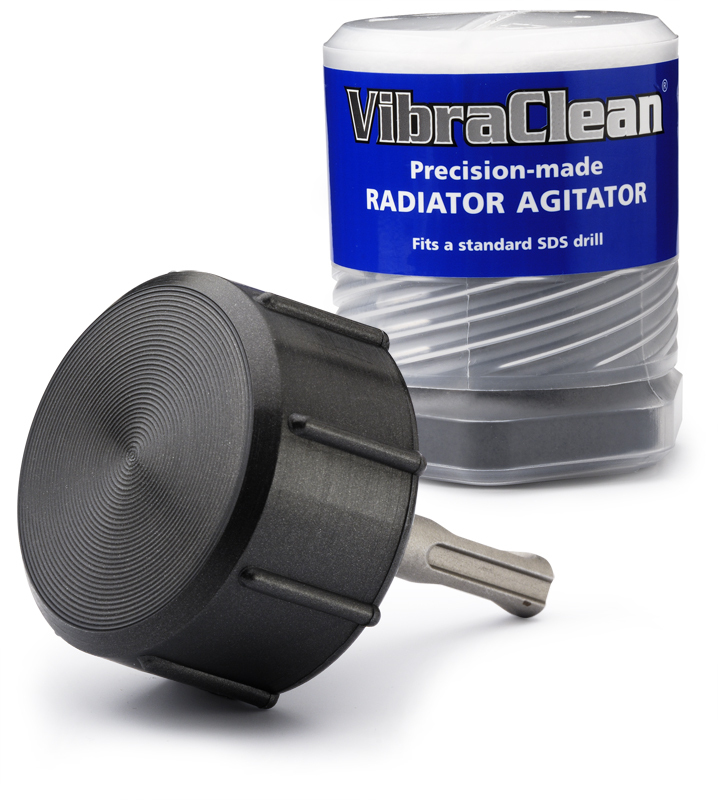 The VibraClean precision-made radiator agitator liberates sludge hardened deposits and blockages effectively. 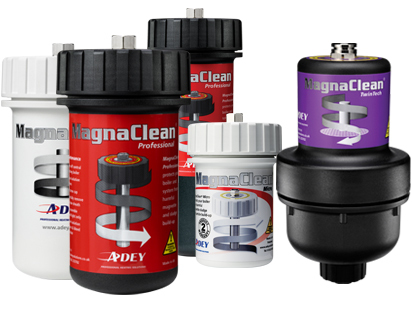 Our experience has shown that using VibraClean in conjunction with the MagnaCleanse process not only speeds up the process, it contributes significantly to a higher quality system flush. 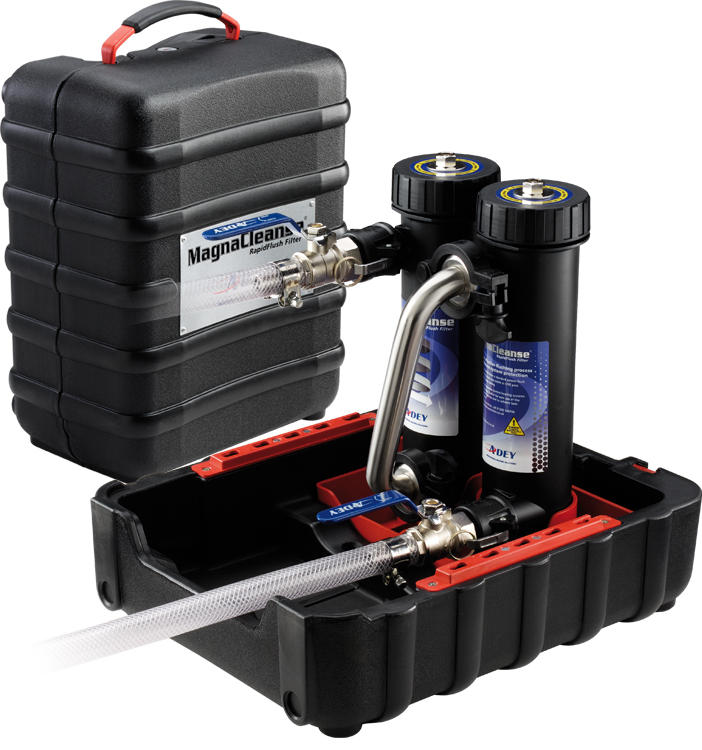 It is possible to remove more sludge in 20 seconds than 30 minutes of traditional power-flushing.